The screen on your iPhone 7 is very versatile, and can respond to your touch in many ways. 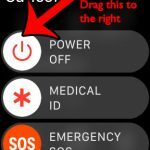 It can even gauge the pressure that you are applying when you tap a region on the screen, and it can perform different actions based on the varying levels of pressure that you use. 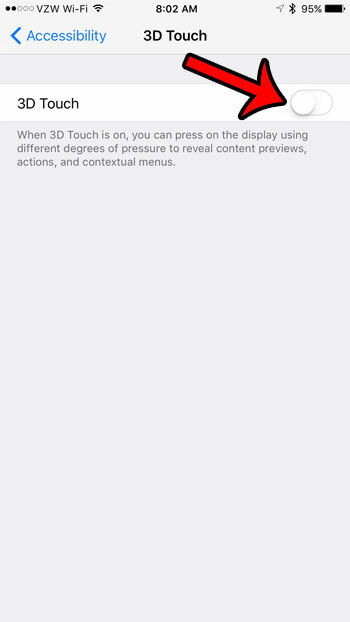 This is a setting called 3D Touch, and it adds a significant amount of versatility to the way that you interact with your apps. 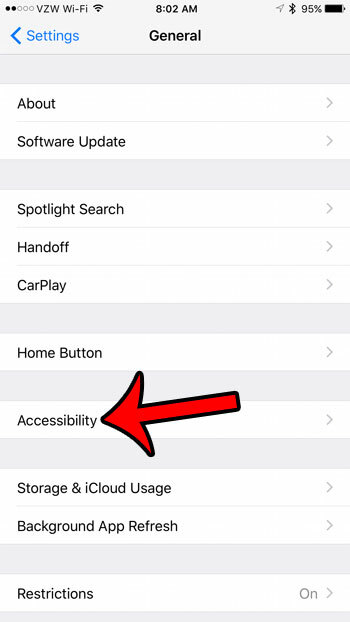 But you may find that 3D Touch is making it difficult for you to perform the actions on your iPhone that you need to perform, and that you simply don’t use the 3D Touch features enough to make the inconvenience worthwhile. 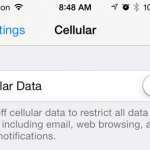 Fortunately it is something that you can disable if you would like. 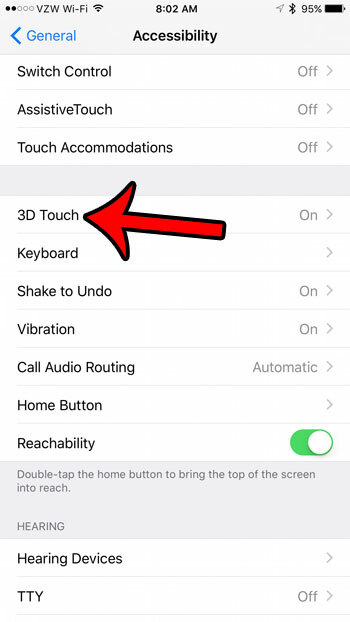 Our guide below will show you where to find the 3D Touch option in iOS 10 so that you can turn it off completely. The steps in this guide were performed on an iPhone 7, in iOS 10. 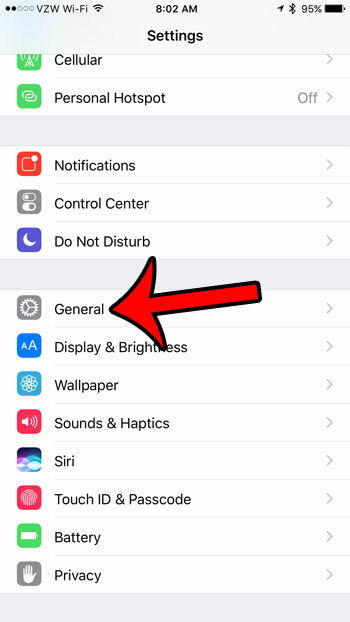 Once you follow the steps below, you will lose the ability to perform any of the actions that are accomplished with the 3D Touch settings. Step 4: Scroll down and tap the 3D Touch option. 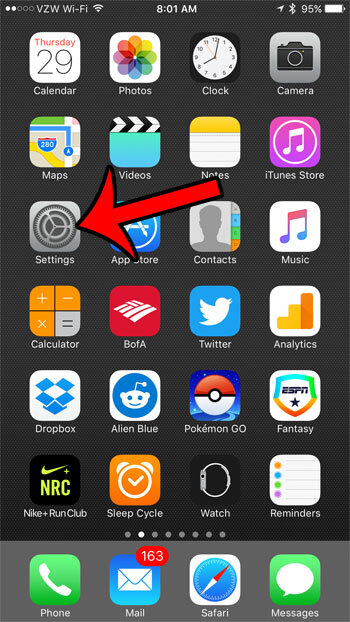 Step 5: Tap the button to the right of 3D Touch to turn it off. Do you dislike the fact that your iPhone screen lights up when you lift it? 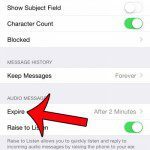 Learn how to disable “Raise to Wake” on your device so that the screen won’t turn on until your press the Home button.